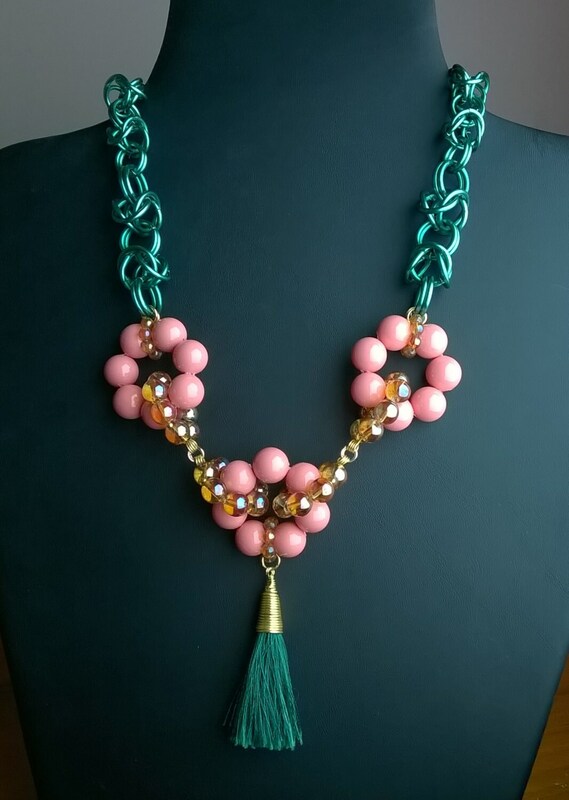 Beautifully stylish necklace. 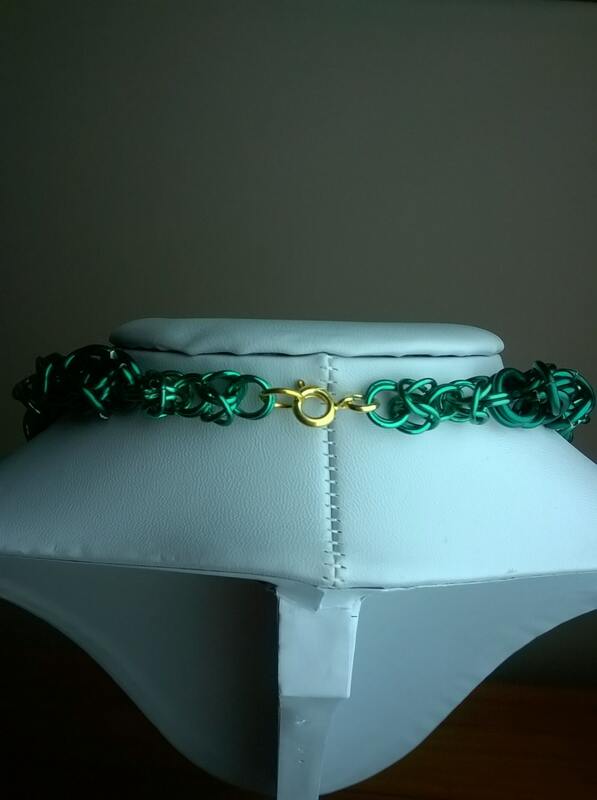 Includes chainmaille and tassel. 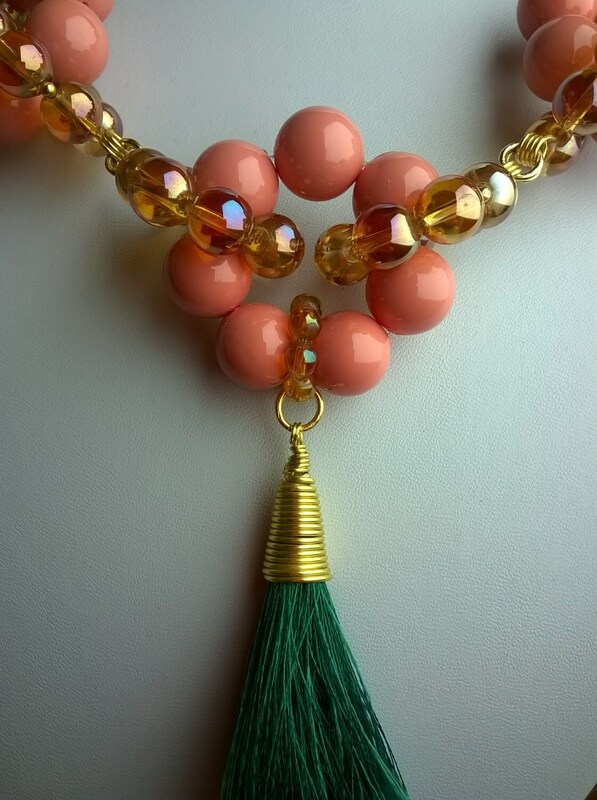 Length around the neck is 19 1/2 inches (50cm). 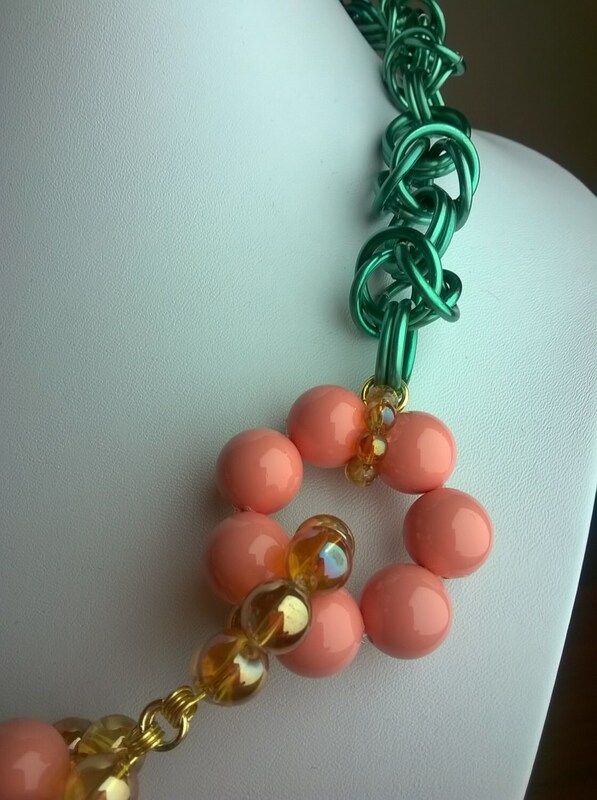 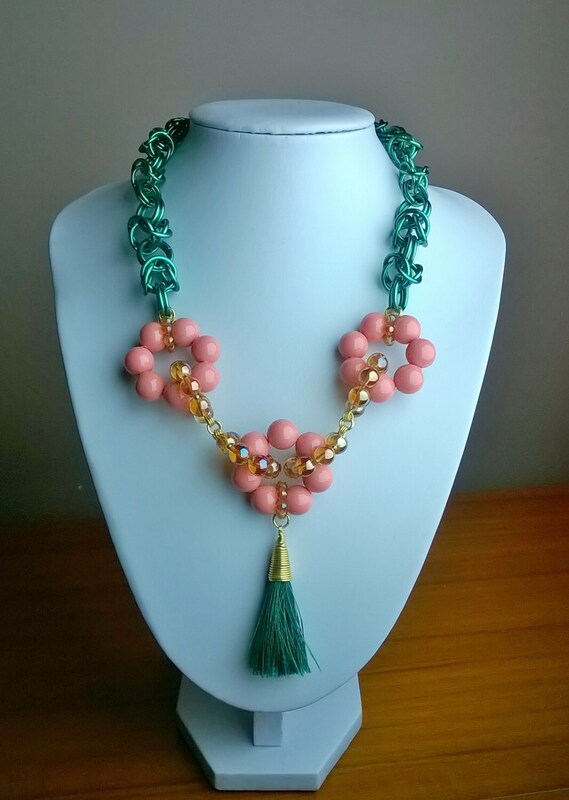 Featuring peach shell pearl, rainbow coated quartz, green chainmaille and tassel.